The American writer and essayist David Foster Wallace committed suicide seven years ago, on September 12, 2008. I have just read his wife’s – Karen Green – grief memoir Bough Down, a beautiful and moving collage of poetry, prose and images. 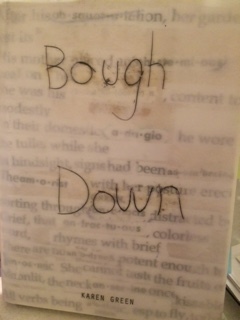 Bough Down is a wonderfully strange read, sometimes challenging to follow Green’s train of thought. But perhaps that is how it should be. The experience of grief, and of love, are ultimately subjective and individual, uniquely lived by those affected. 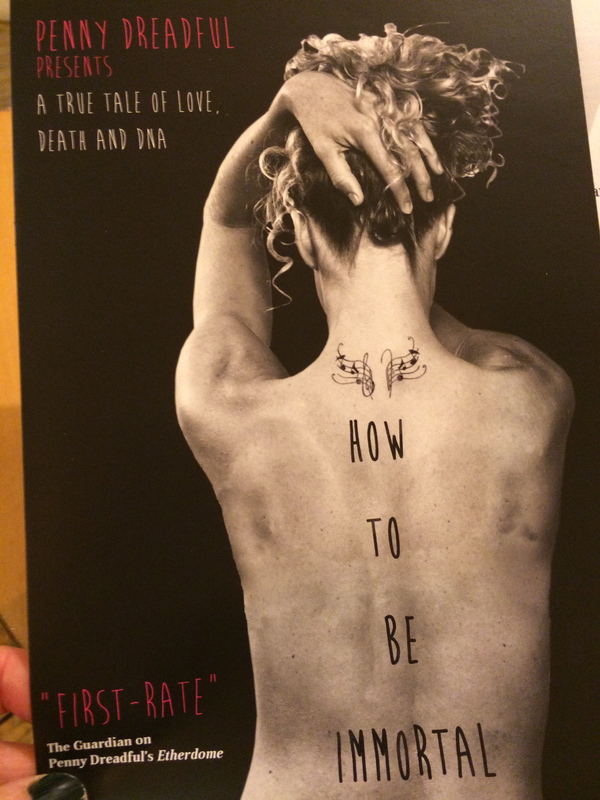 This is a gem of a book, raw, honest, challenging, sad and beautiful. Jon Sanders follow up to the earlier Late September is also a quintessentially British and theatrical piece. Set in Kent, Back to the Garden features the reunion of actor friends one year on from the death of one of the group. His widow remains stuck in her grief, and the film delves into and around issues of loss, of the meaning of mortality, and how terrifying the finality of death can be. For the grieving widow, she now realises how totally bound up in her marriage, and in their love, her own identity had been. Following her husband’s death, it is as if she has not only lost him, but has also lost her self. Her friends gently probe and question her feelings and her experience of grief. ‘Are you still in love with a dead person?’, one asks. An intriguing question, and one that proved hard to definitively answer, despite the fact that love was clearly consistently central to their relationship. ‘Does time heal?’, asks another. No, but taking one day at a time helps. ‘Is death the annihilation of self?’ ‘Do we just, stop?’ Also unanswerable and unknowable, but the discussions around these and other questions were illuminating. Similar to his earlier work, Sanders encouraged improvisation in this recent release. This approach heightens the natural feel to the film, and its authenticity, and serves to make the experience of watching and listening to Back to the Garden real, thought provoking, and lingering. I saw this affecting work last night at Jackson’s Lane Theatre, North London. The Penny Dreadful production is currently on a UK National tour. The play is a profoundly thought-provoking piece, which directly challenges us to consider issues around mortality, immortality, and the ultimate question of what happens to us when we die. Do we cease to be at that point? The Henrietta Lack story encourages a consideration of this question. Lacks died as a result of cervical cancer in 1951, at the age of 31. However, the cells from her aggressive cancer, known as HeLa and which contain all the DNA that constituted Lack’s genetic make-up, continue to survive and to replicate in laboratory conditions, producing the first ever ‘immortal cell line’. Despite the dubious ethical issues that surround the original procurement of Lack’s cells (her children were never told, and Lack’s cells were public property until 2013), research based on HeLa has been directly responsible for the development of treatments for conditions such as AIDs, cancer, cystic fibrosis and vaccines, and many more. HeLa cells have also provided the foundation for mapping the human genome. Who and what are we, and does our ‘make-up’ extend beyond our DNA? When we die, what do we leave behind? A contribution to some genetic pool, or memories, that may only remain until the death of the last remembering person? I found much to connect with in David Sedaris’s recent reflective piece in The New Yorker, ‘Now We Are Five’ (http://www.newyorker.com/reporting/2013/10/28/131028fa_fact_sedaris). Sedaris’s sister, Tiffany, died in May this year, at the age of 49. She committed suicide, and although Sedaris had not communicated with her for 8 years, her death provoked a profound sense of loss. Until May, Sedaris belonged to a family of six siblings. Now, there are five. My sister died in January this year. Amidst the multi-faceted and infinite aspects of felt loss, I was unexpectedly struck by how diminished our sibling group has now become. The experience of going from five of us to ‘just four’, felt much greater than the loss of an individual. We seemed to have lost something indefinable that had hitherto made us the family that we had been. So too has it been for my family. We probably still do it, that pulling away, but there is always a coming back, even if unpredictable and transient. The poet and physician Dannie Abse believes that ‘Men become mortal the night their fathers die.’ When the generation that appears to separate you from your own mortality is removed, it is a defining life moment, not merely in terms of the experience of losing a parent, but also in terms of what it means for the living and passing of one’s own life. The death of a sibling is momentous for other reasons. Yes, it does indeed make you aware yet again of the fragility of life. It also challenges your sense of self and identity, especially that significant part of you that has always been bound up in ‘family’, much of which disappears along with the sibling you mourn. This phrase is taken from Christopher Reid’s poem Exasperated Piety from his collection A Scattering, which was created as a tribute to his wife, who died as a result of cancer in 2005. It is no coincidence that this came to mind today. This day a year ago, my sister was diagnosed with cancer, from which she died less than five months later. When I first saw her a few days after the diagnosis, we were both overwhelmed by our sadness and distress. I was also acutely aware that my sister had now entered a world that was instantly unshareable, and which progressively alienated her over the next months from those of us who remained in a world she had hitherto inhabited. I will never know what my sister’s experience was. She chose not to talk about it. I became increasingly aware, and guilty, of the gap between our worlds, one that seemed to widen every moment of every day of those few short months. A Hospital Odyssey is an epic poetic and mythical journey through illness by Gwyneth Lewis, which focuses on Maris’s experience following her husband’s cancer diagnosis. Maris journeys alone to the Otherworld, separated from Hardy, and explores an imaginary and surreal illness landscape. I saw this tonight, and really enjoyed it. Even though the subject matter – illness, death, difficult relationships, loss – may appear ‘heavy’, I am glad I experienced it. Melanie Spencer’s play is not perfect – it felt slightly too long and would have benefitted from deleting some scenes – but it effectively deals with very tricky life events imaginatively, sensitively, and with an appropriate, and important, dose of humour. Daisy is almost 16. She is off school in her GCSE year, as she has recently been diagnosed with the autoimmune disease lupus (systemic lupus erythematosus). She lives with her dad, Peter. Her mum died from cancer just 18 months earlier. Much of the play focuses on the relationship between Daisy and her dad, which is mostly fractious and involves much shouting (and non-listening) and storming out scenes. Peter still grieves for his wife. Daisy feels not understood by her dad. Daisy’s best friend Alice loyally visits her pal regularly at home, updating her on school work and on school gossip. Theirs is an affecting and touching relationship, which holds much that feels real and raw, and full of teenage-appropriate angst. As Daisy embarks on a course of low dose chemotherapy treatment, her dad calls on his wife’s sister Diana for help. Struggling to make ends meet, he cannot take the time off from work to accompany Daisy on her hospital visits. Diana, who appears to have had some mental health issues, is initially reluctant, but rises to the occasion, and ultimately thrives on this new challenge, and purpose, in her life. There are many issues here, including serious illness, death of a parent/spouse, grieving, loss, mental illness, and not least, the challenges that teenagers face, which are so greatly enhanced by the arrival of serious illness. The poet, novelist, playwright and doctor Dannie Abse kept a diary for a year following the death of his wife Joan as a result of a car accident in 2005. The diary presents itself as both a living record of loss, loneliness and grief, and also a reflection on the past, a looking back. Most entries start with the current date and end with a ‘Then’ section, which relives a memory from Abse’s earlier life, and often one that also includes Joan. to have your eyes tested. Abse is not self-indulgent or maudlin in his grief, and is not seeking our sympathy. The diary was not originally intended for publication, evolving more as a tool for coping with loss, a response to an inner voice saying ‘Physician, heal thyself.’ Thus, the diary became a ‘prescription for self-regeneration.’ However, as the diary progresses he acknowledges that he did presuppose another reader. The diary is not all about grief, but more about a life that continues within that loss. Abse speaks of Freud, of current events such as the Iraq war, as well as past events in his own life as a doctor and as a poet. He also includes his own poetry, and speaks of other writers, such as Elias Canetti and the poet Owen Shears. Eventually, Abse finds his way back into poetry, both writing and reading again in public. I live between nostalgia and rage. This is the land of fools and fear. ‘There is no happy ending’, yet Abse does not leave one feeling desolate. I was touched by his openness, as well as by a realism that allowed for many emotions to sit alongside each other. Abse’s life following Joan’s death reads as one that embraced his unmeasurable loss, and one that allowed grief to accompany rather than to destroy.